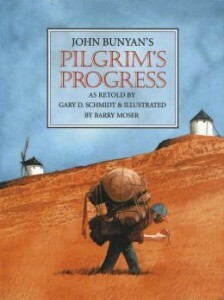 Pilgrim’s Progress: a Retelling, by Gary Schmidt, illustrated by Barry Moser. Eerdmans, 1994, 96 pages. Bottom Line: Gary Schmidt brings to this retelling a novelist’s sense of plot and character development, ably abetted by Barry Moser’s watercolor illustrations. Listen to the dream that I dreamed that night in the wilderness of the world . . . In the field just below a small house, a man walked slowly, bent over by the weight of the great pack heaped up over his back and shoulders . . . Behind him the sun was setting over the western mountains, gilding the sides of the peaks with a light so red that they seemed on fire. When the man saw this, he stepped back, startled. His hands flew to the burden on his shoulders and he cried, “What shall I do?” If he expected an answer, he received none. Nothing changed except the light, which faded to a pale violet. He shuddered and turned back to his house, staggering under the weight of his burden. Illustrator Barry Moser obviously used real models for his character depictions in this version, employing a variety of period costumes and ethnic groups to convey the universal application of the story. His pilgrim is a nondescript balding fellow, an everyman transformed by the power of the Holy Spirit into a hero capable of standing up to Apollyon, but still humanly vulnerable to temptation. Not a version to replace the original, but perhaps to shed new perspective on it. *A word about The Pilgrim’s Regress: this is C. S. Lewis’s earliest work of fiction after he became a Christian, and in years to come he claimed to be heartily ashamed of it. Granted, it’s not his best work and it bogs down unmercifully in the last third. But as a glimpse of his intellectual journey to Christ, especially when accompanied by Surprised by Joy, I find it fascinating. Also hilarious in parts and insightful in others; I’ve gone back to his depiction of the Giant Despair (represented here as the “Spirit of the Age”) several times when writing about scientific reductionism and the collapse of objective truth in the early twentieth century. It takes some historical and philosophical background to get what he’s talking about in the second half, but dedicated Lewisophiles and intellectual teens might enjoy having a go at it. 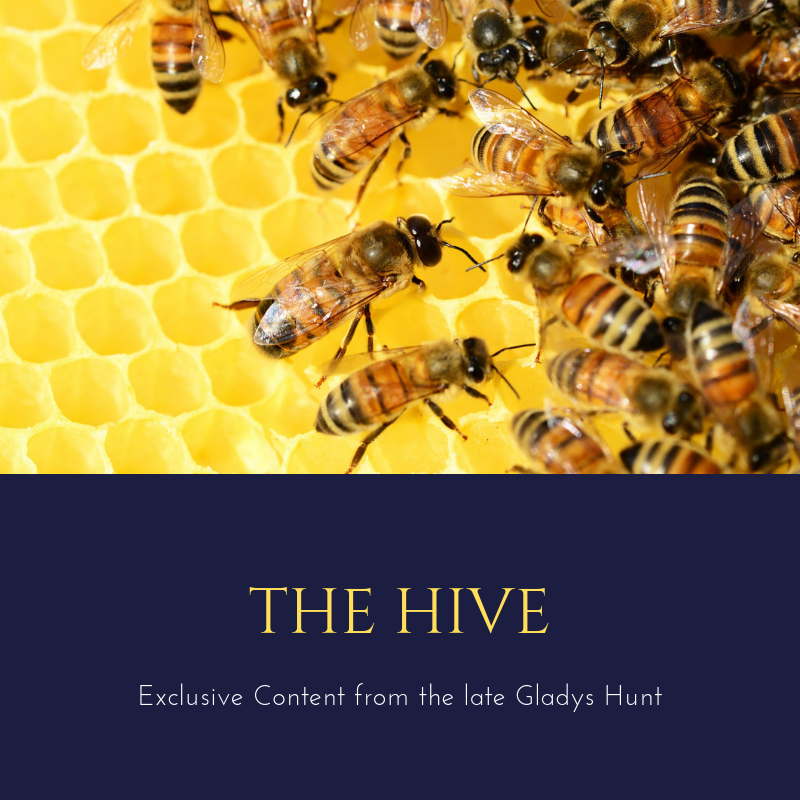 I just stumbled upon your site…and so glad I did!! I was wondering if you would suggest this as a possible first introduction of Pilgrim’s Progress to an array of readers (grades 6-8)? Or possibly reading the original? I’m glad you found us, Amanda! And I’m glad you asked about Pilgrim’s Progress–we have lots of suggestions. Several years ago Emily Whitten and I put together a readers guide for Dangerous Journey (the picture book version), here: https://redeemedreader.com/2011/10/dangerous-journey-part-1/, and the original version, here: https://redeemedreader.com/2011/10/the-pilgrims-progress-introduction/. Dangerous Journey would be too elementary for a sixth-grader, but might be useful as an overview (and the pictures are excellent). There’s a revised version by Anna Trimiew, which we reviewed here: https://redeemedreader.com/2013/12/pilgrims-progress-revisited-two-versions-and-a-giveaway/. There’s also a “Pilgrim’s Progress in Plain and Simple English,” which seems to be only available in the Kindle version. I can’t vouch for it, though. To your original question, I think Gary Schmidt’s version would be great as a comparison or supplement, but nothing compares to the original, as long as it doesn’t intimidate the reader!